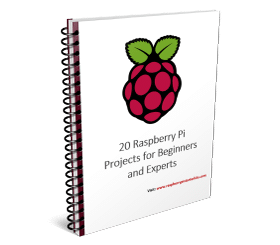 If your Raspberry Pi starter kit is ready with you, you must surely be excited to get started with your projects. However, most starter kits do not come with keyboards and if you are looking to do full justice to your projects, you really need one. 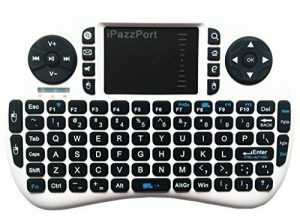 This wireless mini keyboard from iPazzPort comes with a tiny USB that it is stored in its back. Simply plug it in to your device and you are good to go! It also has a touchpad mouse, eliminating the need for you to buy a separate mouse. 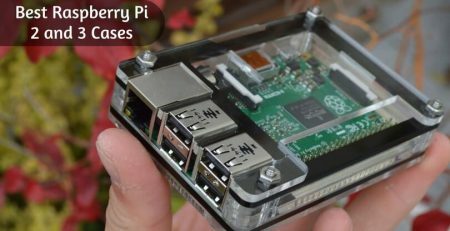 It is fully compatible with Raspberry Pi. It can also be used for Android TV, laptops, PCs, HTPC, XBMC, etc. It is not compatible with Samsung Smart TV. The USB receiver is 2.4 GHz. It requires AAA battery to function, which needs to be bought separately. The ON-OFF button is conveniently placed at the bottom. It is portable and easy to carry and use. It has auto-sleep and auto-wakeup modes. The keyboard sleeps after 3 minutes of being idle but can easily be woken up by pressing any key. It is a seamless keyboard that you can use for browsing, text input, games, etc. The keyboard does not have a laser pointer or backlight. Many users love the subtle feedback sound (like a click) they get when they press the keys. The brand provides one-year warranty for the device. The device also comes with a user manual that explains usage in detail. 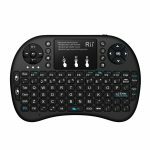 Rii has designed this amazing wireless keyboard which is a perfect combination of a slim and portable keyboard with a large sized touchpad and mouse. It is the best for the travel media game console. 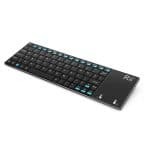 his is an updated version of a wireless keyboard from iPazzPort. 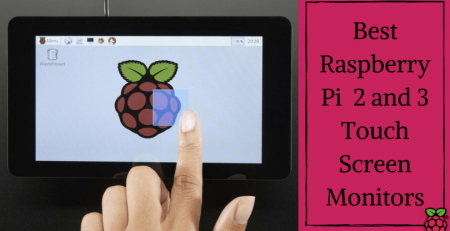 It is a mini Raspberry Pi keyboard which allows you to enjoy the game and home environment freely without any inconvenience of using a wired and big keyboard and mouse. 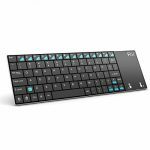 Rii has updated this i8+ wireless keyboard which has 92 keys and comes with a touchpad and mouse. The built-in high sensitive smart touchpad is having a 360-degree touch design. 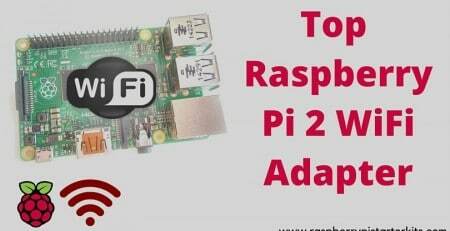 This updated version is perfectly compatible with Raspberry Pi, Google TV box, PS3, Xbox360, etc. This is the most ultra slim portable wireless keyboard with a stainless steel back from Rii. It is having an ultra slim design with a thickness of only 13mm. The elegant, innovative shape is perfect for Raspberry Pi, PC, Google Android TV, Mac OS, Linux, IPTV, XMBC, Windows versions, Laptop, etc. Wireless keyboards are always preferable because they are portable and much easier to use. But, there’s quite a bit of variety in wireless keyboards and you must pick what suits you the best. 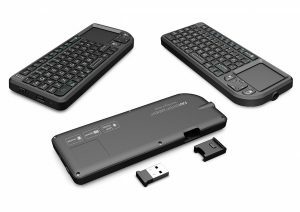 For seamless performance and connectivity, we definitely recommend iPazzPort Wireless Handheld Mini Keyboard. It is cost-effective and we love how it feels to type on it. Do you have any other preferences? We’d love to hear from you about them! Can it be configured out of the box with this setup, or is a wired keyboard required?